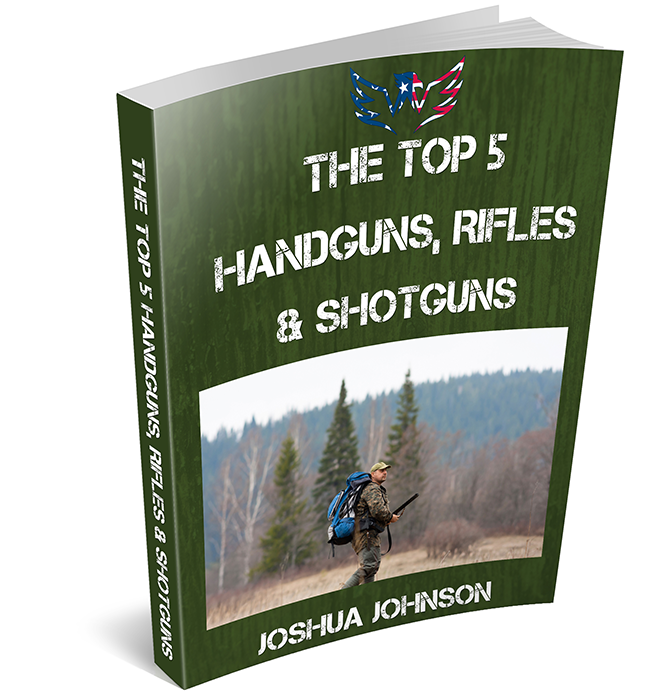 "Men’s Top 5 Guns Guide" NOW! "The Men's Top 5 Guns Guide - How To Find And Choose The Top 5 Handguns, Rifles & Shotguns For Any Crisis!" UNADVERTISED BONUS - TODAY ONLY - When you grab your FREE copy of the "Men’s Top 5 Guns Guide" today you also gain access to a full free 15-Day trial to my private membership, "Survive and Thrive Club". The Club keeps you continually updated with information on valuable skills, tricks, hacks, news, and early warnings of pending threats and spreading viruses. You'll also get detailed training courses (not available anywhere else) that will give you step-by-step preparation for any crisis or disaster, whether natural or man made. You'll also get offers for free gear like tools, knives, flashlights, firestarters, water purifiers and more. Our Club is well known and companies like to get our members involved to test and spread the word about their products. After the free 15-Day trial period, you'll be billed the discounted rate of $14.95 month which will be conveniently charged to the same credit card you're using today. Of course, you can cancel any time and never be billed again by contacting our friendly support staff. And it comes with a 60 day, no questions asked, 100% money back guarantee. This normally costs $200, but today it's yours free! Your family and friends will thank you and rest easy when they know YOU are always prepared for any crisis.